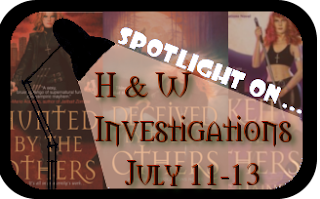 The amazing Stella at Ex Libris is hosting a H & W Investigation week, in honor of Deceived by the Others by Jess Haines, which released on July 5th. I’m a big fan of the series and love Jess to death so I was ecstatic when Stella offered me to join the party! I decided to do one of those things I enjoy so much… a character casting post! Wonder which actor I picked to play Shiarra, Sara, Chaz, Royce & Arnold? Head over at Stella’s Ex Libris and find out! I will definitely head over there to see the post! Thank you for sharing!